The Hall Rural Fire Brigade has thrown down the gauntlet to neighbouring fire brigades in the lead up to the village’s largest community event for the year, Hall Parties at the Shops Friday 30 October from 4pm. The event features a wide range of activities and entertainment and will see local fire brigades go head to head in the highly anticipated sand-shovelling competition, and President of the Hall Rural Fire Brigade, Melissa Riches, has challenged NSW rural fire brigades. “The Hall Rural Fire Brigade is happy to take on any NSW brigade at any time. We are undergoing a rigorous training regime to prepare ourselves for the event but can’t disclose any training details for fear of losing our competitive edge,” said Ms Riches. “We’ll be competing with NSW brigades including Wallaroo, Jeir Creek, Springfield, and possibly others. This will showcase some of our other skill-sets other than putting water on hot stuff, which is what we usually do,” said Ms Riches. This year’s Parties at the Shops is being held in lieu of the Hall Ball, traditionally held in the hall in Hall St, Hall. Long-time organiser of the Hall Ball and Parties at the Shops committee member, Shaun O’Connor, says the last Parties at the Shops event, held in 2013 as part of the Centenary of Canberra celebrations, went really well and there was a lot of enthusiasm for a repeat performance. “Parties at the Shops gives the community a chance to really show off all of the diverse aspects of the village. There will be a huge range of activities including the sand- shovelling and wood-chopping competition, vintage car displays, wine tasting, petting zoo, live music, market stalls, kids activities, and of course heaps of food,” said Mr O’Connor. In the spirit of the outback, there will be a few people getting into character. 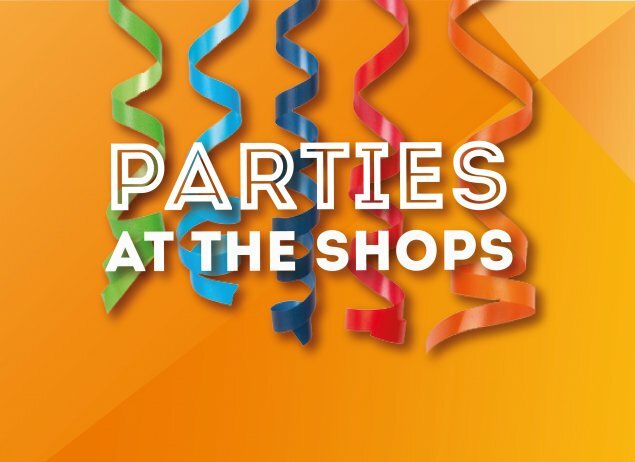 Parties at the Shops is supported by Bendigo Bank, the Land Development Agency, Events ACT, and Capital Metro. Parties at the Shops is produced by Amy Moon at Devil Moon Events and Communications.